For a short time, Edward and Susan had a happy marriage, they lived in a nice neighbourhood, Susan had a good career and Edward was not far from taking the bar. Susan lives a fast-paced life and as such barely sleeps and Edward would somewhat affectionately tell her that she's a 'nocturnal animal'. 25 years later, Susan has remarried a serial philanderer and her life is far from happy. Unexpectedly a manuscript arrives at her door titled 'Nocturnal Animals' and with the dedication to 'Susan'. She pushes the pages aside and decides to leave them but eventually she can't help but start to read the book that she inspired Edward to write. The story that unfolds is an incredibly dark tale of murder and revenge and Susan is shocked and traumatised that she would play such a pivotal role in the creation of such a dark piece of work. Susan's interpretation and retelling of the story soon impacts on her life and is unsure how Edward's return into her life will turn out. Set in a dystopian New York, the Ubisoft game is part of the Tom Clancy franchise. Jake Gyllenhaal and Jessica Chastain have officially singed on for the big screen adaptation of Tom Clancy video game The Division, developers Ubisoft announced on Tuesday. The game, which shelves back in March, was an instant hit for Ubisoft, achieving a record number of first day sales for the company. 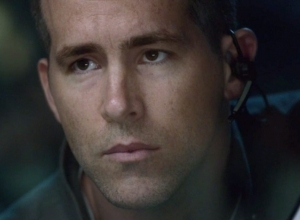 Jake Gyllenhaal will star opposite Jessica Chastain in The Division. Gyllenhaal will also be producing the adaptation, which centers on the aftermath of a small pox pandemic in dystopian New York. In the video game players must attempt to rebuild the city while fighting and investigating crime. 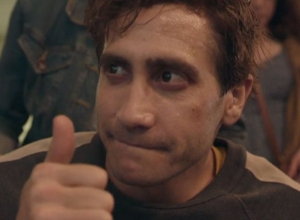 Gyllenhaal will also be helping to produce the video game adaptation. Jake Gyllenhaal has been revealed as the star of a forthcoming movie adaptation of the record-breaking video game ‘Tom Clancy’s The Division’, continuing Hollywood’s newly-discovered enthusiasm for turning home entertainment games into cinema blockbusters. According to a report in Variety, the 35 year old actor will also be a producer on the project. It will be his second role in a video game adaptation after 2010’s Prince of Persia: Sands of Time, which it technically the most successful such adaptation in worldwide movie history despite the critical slaughtering it received upon release. 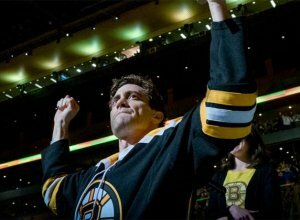 The actor supports the democrats in the presidential race. Jake Gyllenhaal has opened up about where he stands on the upcoming US presidental election, and it seems he is one of many who believe that the election of Donald Trump could be extremely 'dangerous' for the nation. He revealed his thoughts on the prospect of Trump coming to power in a recent interview. He's currently promoting his new film 'Demolition', about a guy who finds a passion for destroying things following the death of his wife, and it seems that Jake Gyllenhaal feels Trump could be holding a sledgehammer over the United States of America. 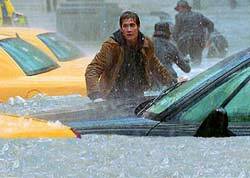 In his new drama Demolition, Jake Gyllenhaal plays a remarkably unlikeable, apathetic guy who decides to dismantle his life physically and figuratively after his wife dies in a car crash. Jake Gyllenhaal looked forward to working with costar Naomi Watts and director Jean-Marc Vallee (Dallas Buyers Club), mainly because the filmmaker is notable for encouraging his cast members to improvise. But Gyllenaal says he was taken aback when Vallee told him not to prepare for the role. 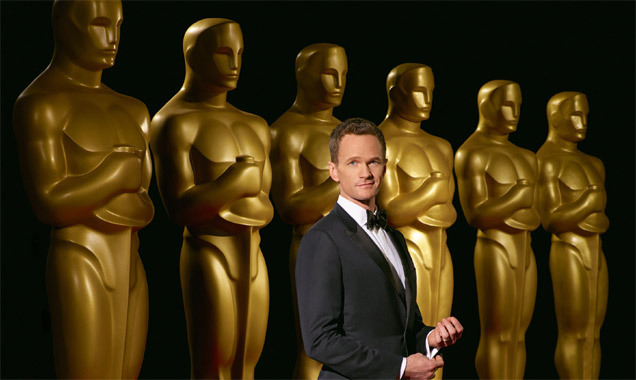 "Weeks before, I was like, 'When are we going to rehearse it?'" Gyllenhaal says. "And he was like, 'No, we can talk about it on set.' He really pushed me out of my comfort zone, this technique and this style that I've developed over a long period of time. I showed up pretty scared the first day, because I hadn't done any preparation. But it wasn't manipulation, because he was always with me." And Gyllenhaal really enjoyed Vallee's stripped-back stye of filmmaking. "I had heard and read about his process," he says, "and how he films his movies and how he treats his actors and just his whole way of circumventing the Hollywood vanity style of filmmaking. I loved it! When I got to set, there was no makeup, there was no lighting. It's just that instinct." This film has proved just too weird for reviewers. It can't be denied that Jake Gyllenhaal is a superb actor with a versatile talent that allows him to play virtually any character out there. However, that doesn't seem to have been enough to save his latest flick 'Demolition', which has left most critics deeply unimpressed. Gyllenhaal is making some questionable choices when it comes to cinema these days. Two other films from 2015 that he starred in, 'Southpaw' and 'Accidental Love', were equally unengaging as his latest endeavour, but he's got a lot in the pipeline so we're not losing hope yet. At least, we're trying not to. His latest film, about a businessman who becomes emotionally sparse after the death of his wife and sets out to take various objects apart and destroy his home, has been branded as 'all metaphor and no movie' by NJ.com, with Indiewire adding it's 'a frivolous lark, riddled with manufactured breakthroughs'. Jake Gyllenhaal discusses the great lengths he went through to prepare for his role in the film 'Nightcrawler'. In the movie, Gyllenhaal portrays an insomniac new reporter, who creeps around recording crimes and the aftermaths thereof, selling the footage to local news networks for a living. 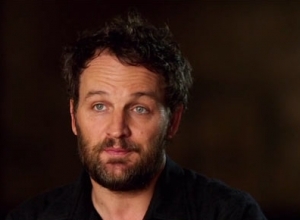 The actor discusses how different the character was from anything he had ever done before, as well as revealing how he spent two months losing weight and staying up at night and sleeping during the day. In this featurette, actress Rene Russo and 'Four Lions' star Riz Ahmed discuss how much they admire Gyllenhaal for, not just his performance, but the lengths he went through to achieve said performance. 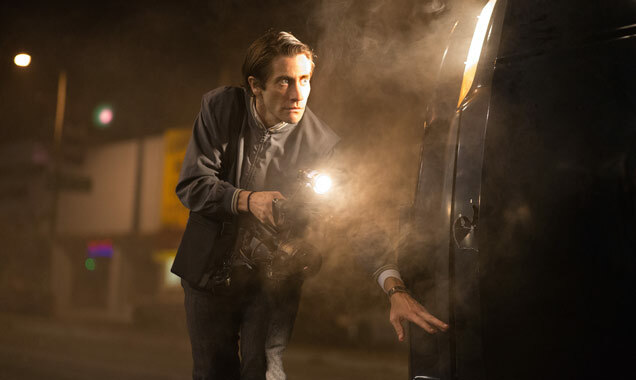 'Nightcrawler' premiered at the Toronto Film Festival on Saturday (6th September) and its star Jake Gyllenhaal has been praised by critics for his depiction of a desperate and immoral crime scene journalist. Jake Gyllenhaal's performance in Nightcrawler has been highly praised by critics ahead of the film's US and UK release. Read More: Author Claims To Be Son Of Zodiac Killer - Remember The Movie? Author Claims To Be Son Of Zodiac Killer - Remember The Movie? Gary Stewart's book might provide some big clues into the Zodiac mystery. Gary Stewart wasn’t thrilled when he found out that the father he never knew was the infamous Zodiac Killer, but he’s set to make a nice profit out of it with the publication of his new book, The Most Dangerous Animal of All. In his 12-year-search, Stewart spoke to handwriting specialists, forensic scientists and over 500 people, all with the hope of finding out more about the man, who he thinks is his biological father. Continue reading: Author Claims To Be Son Of Zodiac Killer - Remember The Movie? A tale of two Jakes. 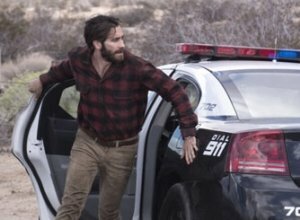 Jake Gyllenhaal and Prisoners director Denis Villeneuve combine once more with Enemy, a psychological thriller that sees the 33-year-old actor come face-to-face with a man who bears his physical aesthetic to the nose hair. 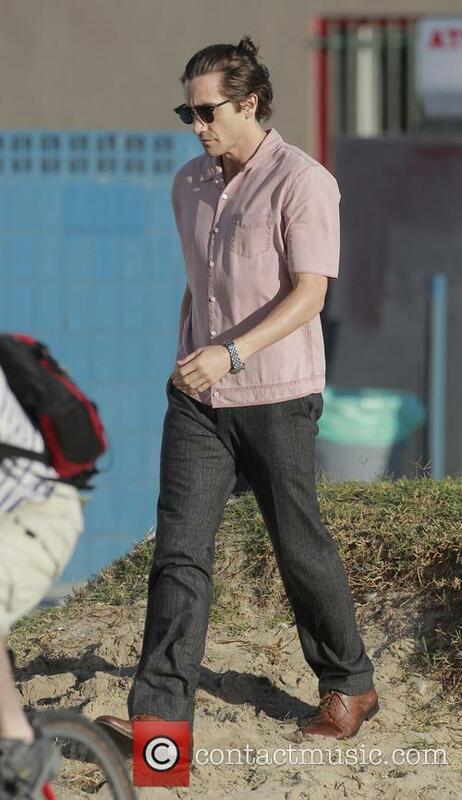 Adam (Gyllenhaal) is an unassuming, socially awkward quiet professor, who doesn’t really go out much. On the recommendation of a colleague, he rents a movie and settles down for a watch, only to discover his doppelganger within the picture. Seeking out his lookalike ( called Anthony) doesn’t bode well for Adam. Adam Bell is a fairly ordinary man in a loving relationship and with a stable job. 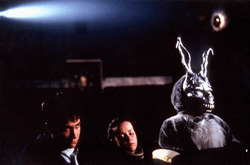 However, his life is turned upside down when he watches a movie and sees an actor bearing an uncanny resemblance to him. Shocked, he decides to track down the actor, named Anthony St. Claire, at his address but becomes spooked when he calls his house and is immediately assumed to be Anthony by his wife. With Adam's own girlfriend becoming increasingly suspicious by his jumpy and distracted behaviour and his mother insisting that he is her one and only son, Adam decides to meet his doppelganger. However, things don't go as smoothly as planned when Anthony decides he wants to sleep with Adam's partner. With his obsession consuming his life and harming the people around him, Adam must evaluate himself mentally in order to get his life back. David O'Russell is making waves with 'American Hustle,' but whatever happened to 'Nailed'? 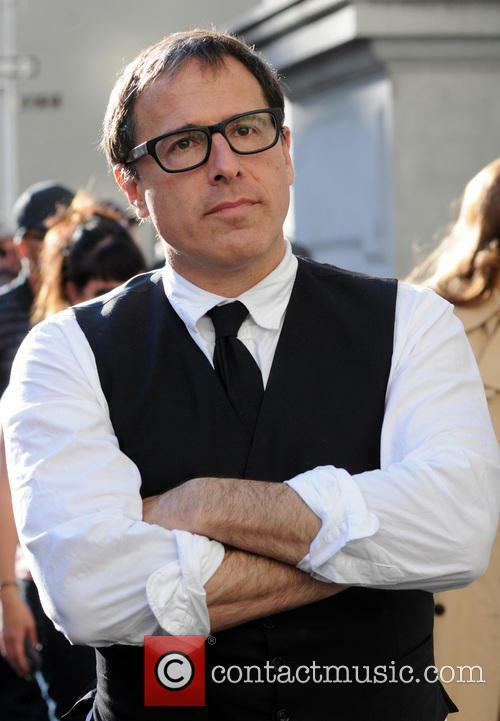 The reviews suggest David O' Russell will be celebrating multiple Oscar nominations for his black comedy American Hustle in early 2014. 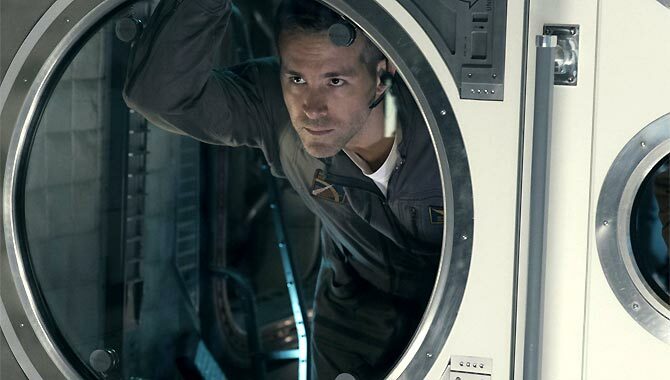 The movie boasts a glittering cast including Christian Bale, Bradley Cooper and Jennifer Lawrence and comes as Russell begins to approach something like a career peak. His last two efforts The Fighter and Silver Linings Playbook were both big winners with the critics and all the talk suggests American Hustle is probably his best movie yet. You can check out the trailer here. However, there's an oddity in O'Russell's oeuvre in the form of Nailed - a project that the director abandoned three years ago after financing totally collapsed. 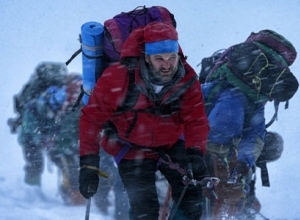 DVD releases 2013: A comprehensive list for all your Christmas present-buying needs. It’s been a pretty special year for cinema: we had Henry Cavill donning the big S and playing Superman in Man of Steel; Steve Carrell and his Minions sending everyone into raptures, and low budget horror, Insidious: Chapter 2 thrilling its way to the top of the box office. And with all these titles either just released, or coming out at some point in December, here’s your definitive Christmas DVD list, so you can be sure not to miss out on a single stocking filler. All release dates are American. 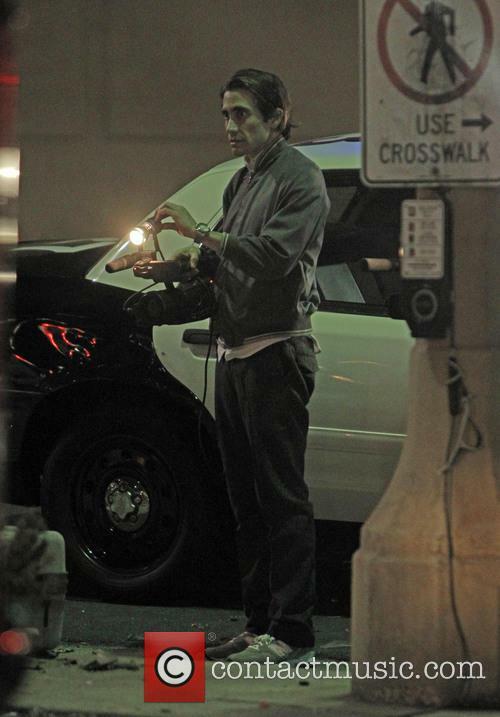 Jake Gyllenhaal Hospitalized On 'Nightcrawler' Set. What's The Movie All About? 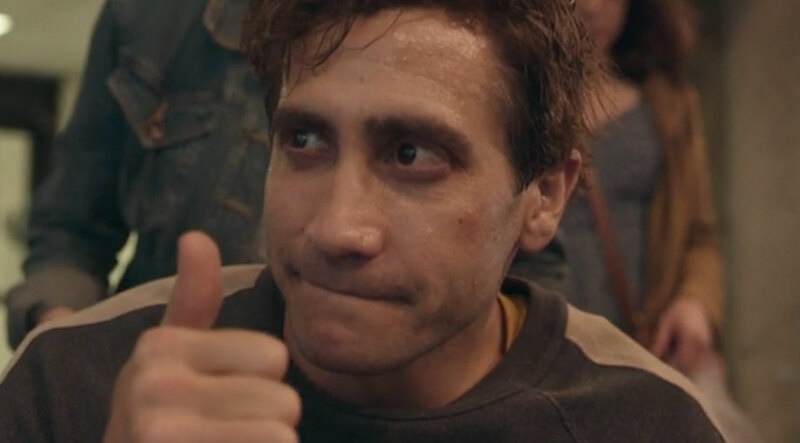 Jake Gyllenhaal was briefly hospitalized after punching a mirror on the set of his new movie Nightcrawler on Wednesday morning (November 13, 2013). 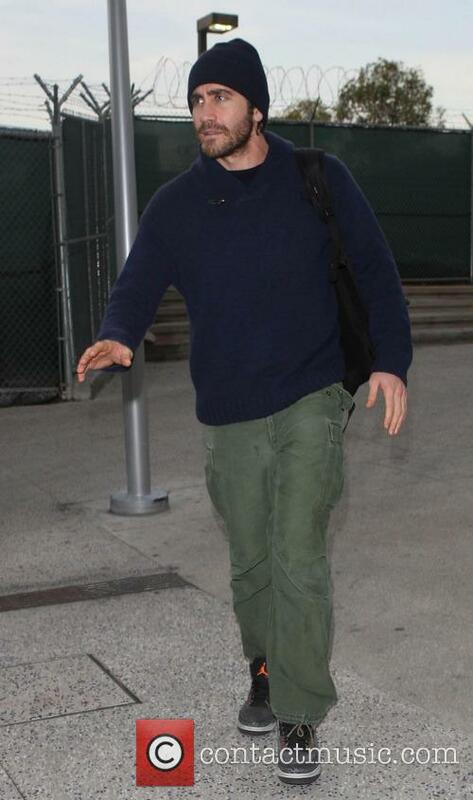 The actor lost 20 pounds to play a crime reporter in the movie and was deep in character when he injured his hand. "His character was looking into a mirror during the scene and punched the mirror in anger and broke it, cutting himself so bad he had to be taken to a hospital," a source told People magazine. 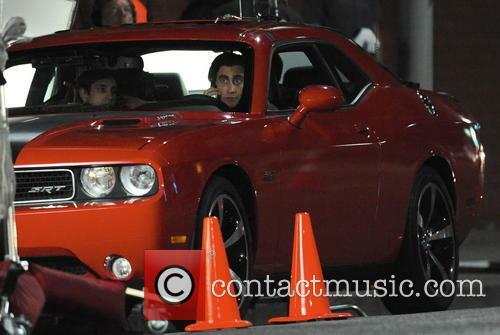 Continue reading: Jake Gyllenhaal Hospitalized On 'Nightcrawler' Set. What's The Movie All About? Jake Gylenhaal punched a mirror on Wednesday and was rushed to an LA hospital. 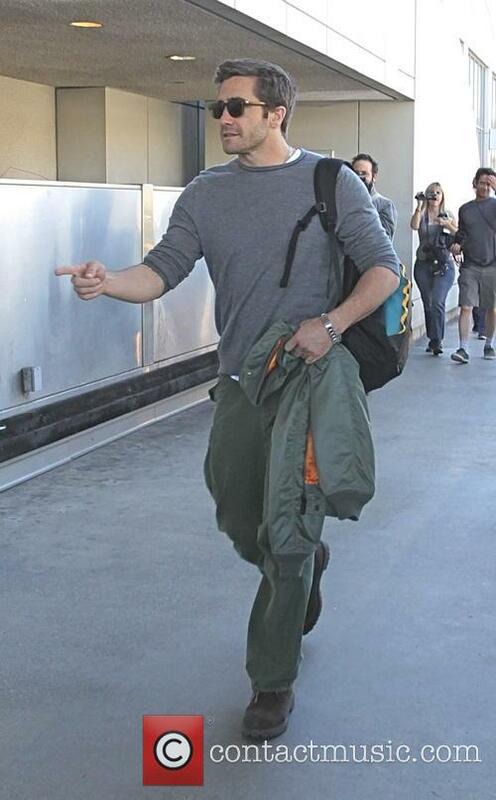 The 32-year-old actor was in character when the incident occurred. Yet suffering serious physical and psychological injuries are less common in the acting profession than you may think. Jake Gyllenhaal was forced to visit the emergency room on Wednesday (13th November) after punching a mirror on the set of his upcoming drama, Nightcrawler. Gyllenhaal was so embroiled in the scene he cut his hand and was taken to hospital. The actor was filming an "emotionally charged" scene when he seems to have got carried away and smashed a mirror. 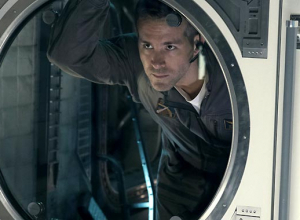 A source, speaking to People, explained what happened: "Jake flipped out, his character was looking into a mirror during the scene and punched the mirror in anger and broke it, cutting himself so bad he had to be taken to a hospital." Jake Gyllenhaal was looking shockingly gaunt at the Hollywood Film Awards as he prepares for his role in 'Nightcrawler'. Jake Gyllenhaal becomes the latest actor to take his new role to the extreme by losing a significant twenty pounds for crime drama 'Nightcrawler'. The 'Brokeback Mountain' star looked alarmingly different as he appeared on the red carpet at the 17th Annual Hollywood Film Awards on Monday (October 21st 2013), his usual padded cheeks now sunken and definitely looking a far cry from the bulky frame he adopted for 2010 adventure flick 'Prince of Persia: The Sands of Time'. In his new film 'Nightcrawler', due for release in 2014, he plays Lou; a freelance crime journalist who finds himself amidst the treacherous world of corruption hidden by the glitzy front of LA. Hugh Jackman and Jake Gyllenhaal star in the eerie crime thriller 'Prisoners' that reaches new psychological depths. Hugh Jackman and Jake Gyllenhaal are undoubtedly two of the most talented actors in Hollywood today, and their new crime thriller 'Prisoners' brings to life a moviegoers fantasy as they star alongside one another in the gripping psychological tale. In a small Pennsylvanian town on thanksgiving, a couple of families get together and dine with each other for the holiday. Living walking distance from each, the close community is rocked on the discovery that the two youngest daughters from each family have gone missing. But how does this differ from any other conventional thriller? After meeting in 2001 and playing his lover in 2005, Jake Gyllenhaal is still devastated by the 2008 death of Heath Ledger, saying it was like "losing a family member". US television show, 'Inside the Actors Studio' gave an interview with Gylllenhaal, where he explained his relationship with the late 'The Dark Knight' star. Gylllenhaal explained that: "Heath and I knew each other for years before ['Brokeback Mountain'] because we had both auditioned for 'Moulin Rouge!' together. And I remember thinking, 'I like this guy. 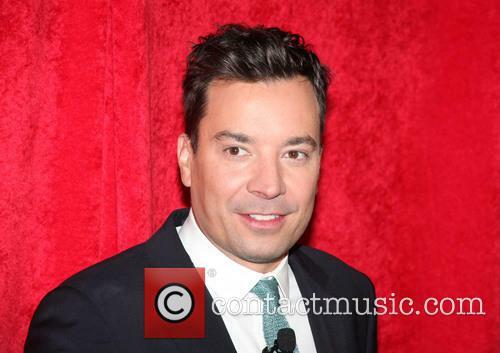 He's just like, super lovable.'" Continue reading: Jake Gyllenhaal Still Misses Heath Ledger "To This Day"
Taylor Swift's Next Boyfriend (Cough, Victim) Is The Lumineers' Member? Taylor Swift is already moving on from One Direction's Harry Styles, setting her sights on a member of country rockers The Lumineers. According to Hollywood Life.com, Taylor isn't bothered which one of the guys she dates, so long as they're a signed up member of the band, who were nominated for Best New Artist at the Grammy Awards 2013. A source close to the 23-year-old revealed, "Taylor would love to date one one of the guys from The Lumineers. She's embarrassed about all of the Harry drama, and is definitely looking for someone who is more down-to-earth and away from the Hollywood lifestyle. She thinks they are all cute and talented, and she loves their album." Watch out guys! Taylor Swift is coming for you, and she usually doesn't take no for an answer. The source added, "Their country vibe is great and she thinks it would be a good mix." So, Swift has put her next breakup song into motion, but who are The Lumineers and which member will feature heavily in the lyrics of Taylor's next album? The folk-rock quartet from Denver, Colorado, consists of Wesley Schultz, Jeremiah Fraites, Stelth Ulvang and Ben Wahamaki and female member Neyla Pekarek. Wesley and Jeremiah both have girlfriends, but Stelth and Ben may be available. Continue reading: Taylor Swift's Next Boyfriend (Cough, Victim) Is The Lumineers' Member? Taylor Swift's 'I Knew You Were Trouble' was written about her current boyfriend Harry Styles, it has been confirmed by Hollywood Life.com. The song was originally thought to be about one of her exes John Mayer or Jake Gyllenhaal, but it turns out the One Direction heartthrob is actually the subject! A source privy to the song-writing process said, "The song 'Trouble' is definitely about Harry. Taylor told Harry it's about him. She references flying around America following One Direction's tour in the song." After assessing the lyrics, it's certainly plausible that the song is about Harry, with one line "when you saw me dancing" possibly referring to when Swift danced in the audience to One Direction at the Kid's Choice Awards in March 2012. "Flew me to places I'd never been," could refer to when Styles allegedly paid for the country star to jet in and watch him in concert. 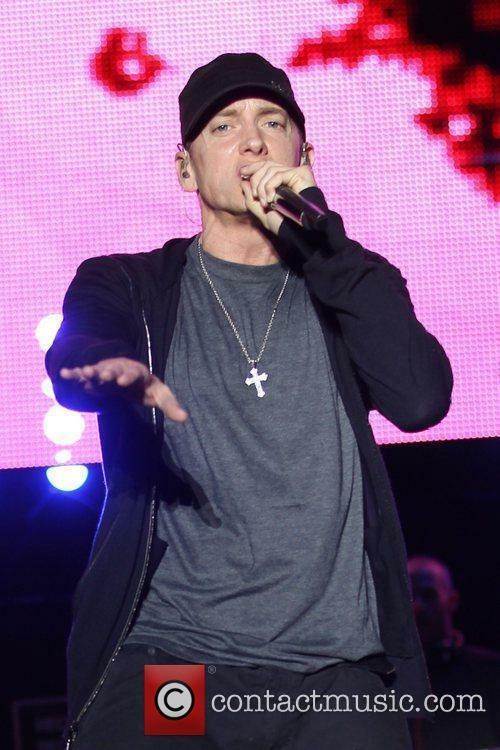 Other lines in the track appear to hint at someone other than Styles, for example, "A new notch in your belt is all I'll ever be, And now I see, now I see, now I see, He was long gone when he met me, And I realize the joke is on me, hey." 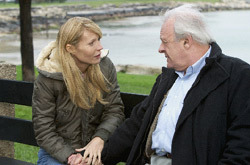 It suggests acrimony, a split or a broken heart - something not associated with the couple's relationship. Not yet anyway. Russell Crowe turned down Hugh Jackman's Wolverine part in the X-Men movies, though recommended the Australian star for the role. Crowe had just finished Gladiator and opted to work with Ron Howard on A Beautiful Mind - a film that scooped multiple Oscars including an acting nomination for Crowe. In an interview with Australian radio station Triple M 104.9FM (via Yahoo), Jackman explained, "Bryan Singer asked Rusty to do Wolverine, and he said, 'Nah mate I've just done 'Gladiator', it's not for me but you should look at this guy..." Luckily, Crowe appeared to be right on the money with his endorsement, as Jackman's portrayal was a huge hit with movie fans. He's since appeared as the clawed mutant three times, with a second X-Men spin-off 'The Wolverine' due out in July 2012. Crowe and Jackman have been good friends for many years, and the X-Men star said, "He's a great guy in every way, I have so much time for him and to watch him work, everyone says he is a great actor, when you actually get to work with someone like that... He's that good when it matters, in that moment, in that close up tough moment, you just sit back and watch you know someone's got that confidence and is going to deliver. I learnt a lot from him." 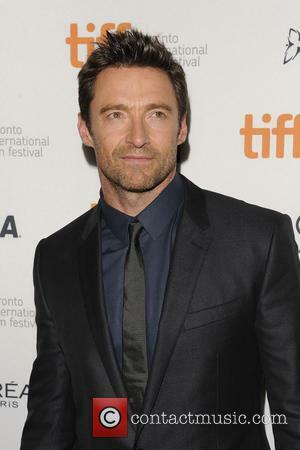 2013 is likely to be a big year for both stars, with Jackman appearing in the forthcoming musical-drama Les Miserables (as is Crowe) as well as The Wolverine and thriller The Prisoner with Jake Gyllenhaal. 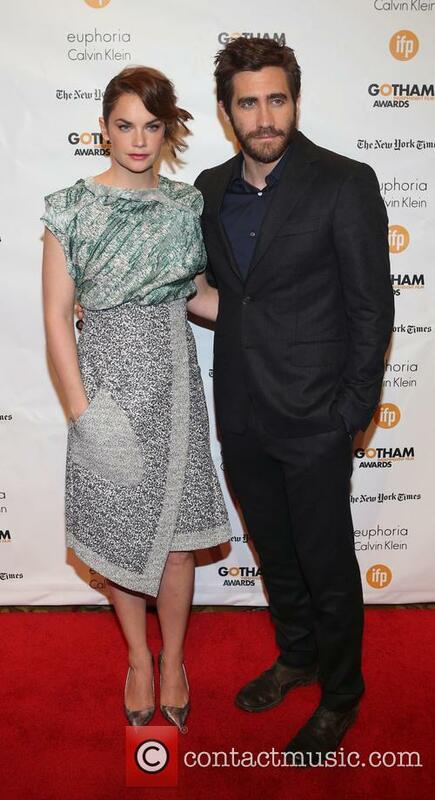 Crowe is shooting the fantasy Winter's Tale, Superman flick Man of Steel and his Oscar tipped blockbuster Noah. A strong sense of camaraderie sets this edgy police thriller apart from the crowd. And it's also a change of direction for writer-director David Ayer, who has explored the dark side of police corruption in Training Day, Harsh Times and Street Kings. But this film focusses instead on two good-guy cops just trying to do their job and have happy private lives. On the gritty streets of Los Angeles, officers Taylor and Zavala (Gyllenhaal and Pena) continually make important arrests, which really annoys their serious-minded colleague Van Hauser (Harbour) because they're usually joking around as well. But their captain (Grillo) is slowly starting to respect their work. Meanwhile, their loyal partnership in the streets spills over into their private lives, and they lend support to each other as Taylor falls in love with Janet (Kendrick) and Zavala's wife (Martinez) gives birth to their first child. On the other hand, a Mexican cartel boss has just put a price on their heads after they busted his operation. 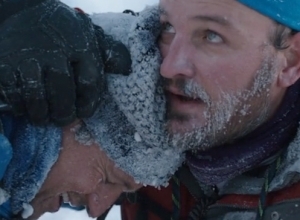 Ayer shoots the film like a fly-on-the-wall doc, with hand-held cameras capturing each scene. Sometimes the shaky imagery is a bit distracting since it has nothing to do with the plot, but it encourages the cast to deliver offhanded, bristly performances that build our interest during the nicely meandering first half. Then things shift drastically as a major plot kicks into gear that involves what the cops call the three food groups: drugs, money and guns. Jake Gyllenhaal is the latest in a long line of actors who are being linked with roles in the much-anticipated film adaptation of the hugely popular book 50 Shades Of Grey. Unlike the likes of Emma Watson, however, who has distanced herself from any rumors that she is going to be involved, Gyllenhaal actually seems to be pretty keen to get involved. Gyllenhaal was being interview by Ryan Seacrest on his KIIS FM Radio show and was asked if he'd be interested in playing the chief male lead role Christian Grey, to which he replied "Yeah, of course! I always want to work, man, of course." He hasn't been contacted for the part yet apparently - it seems that no one has at this point - but continued to add "That's super flattering. I mean, I have not heard that, but if that's true then that's a nice thing. It's always nice to be considered." Other actors who have been rumored to be playing the role of Grey include Channing Tatum, Ryan Gosling, Tom Hardy and Matt Bomer and all eyes are on the author of the books E.L James to reveal who she wants to be playing the main character; she has so far remained completely silent on the subject. Jake Gyllenhaal’s ‘End of Watch’ came from nowhere to top the U.S box office, though it was another disappointing week for the movie industry. The Los Angeles cop tale – also starring Michael Pena debuted with $13.2 million to finish at No.1, according to the Associated Press. Despite End Of Watch’s success, the U.S. box office continues to slow dramatically. To put the latest figures into perspective – on the same weekend in 2010, George Clooney’s ‘The American’ also took $13 million, though it was only good enough for sixth place. Jake Gyllenhaal ('Brokeback Mountain') and Dakota Fanning ('War of the Worlds') take a break and chat on the set of upcoming drama movie 'Very Good Girls'. 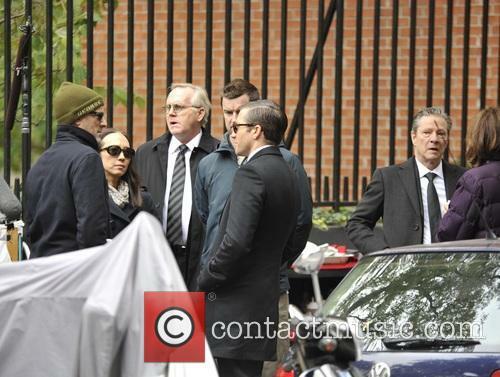 Elizabeth Olsen ('Martha Marcy May Marlene') who also stars in the movie is mentioned by a photographer to be on the set as well but she doesn't appear in the clip. Two loyal LA police officers Taylor and Zavala patrol the city's streets arresting drug dealers and gang members, protecting each other's backs and each other's families. The story is told through a series of amateur film footage apparently from police officers, criminals, civilians and surveillance cameras to provide a uniquely accurate depiction of the city's dangers and its cops. About halfway through Gavin Hood's Rendition, Peter Sarsgaard's dweeby congressman's assistant approaches Meryl Streep's white witch of the CIA with enough huff-and-puff to blow down a Dairy Queen. The two ideological opposites go at it with crisp, cool reverie: He promises to send her a copy of the Constitution while she promises him that a copy of the 9/11 Report will be arrive in his mailbox posthaste. It's sloganeering at its finest and that's not the half of it. CIA watchdog Corrine Whitman (Streep) sets up the titular protocol when evidence is uncovered against Chicago family man and chemical engineer Anwar El-Ibrahimi (Omar Metwally), Egyptian by birth. Whitman suspects that El-Ibrahimi had a hand in a recent bombing of an unnamed North African tea house; an attempt on the life of North African security head Fawal (Igal Naor). Fawal heads the "interrogation" with CIA analyst Douglas Freeman (Jake Gyllenhaal) there as counsel while they electrocute, drown, beat, and strangle Anwar to give up information on the attack. The Broadway hit Proof put playwright David Auburn's name on the map, earned him a shelf full of prizes (from Tony to Pulitzer), and reminded those of us who stopped paying attention that Mary-Louise Parker was a star. A movie adaptation was inevitable, though a drastic mishandling of the material was not. Familiarity with Auburn's stage presentation may breed contempt for this version, which feels distinctly off-kilter from its first frames. Mysteries that held water longer in the theater instead land like Doc Marten's on a flimsy piece of plywood here. Director John Madden samples a chatty, analytical approach to his literal translation but gets swept up in stagy, awkward, and all-too-deliberate line readings. Much like last year's ill-conceived Phantom of the Opera, this movie has few cinematic qualities that elevate it above a tedious and emotionless play rehearsal shot on location. Although "October Sky" is a film with no surprises from its soundtrack of '50s rock 'n' roll standards to its triumph over adversity themes, this teen-years biography of a NASA scientist who got his start building rockets in his basement is so full of spirit and letter-perfect filmmaking that I defy anyone to watch this movie without getting a tingle in his or her heart. Thrilling in the best sense of the word, traditional without being corny and with a script, photography and symbolism that could be the basis of a film literature textbook, "October Sky" is a classic in the making. 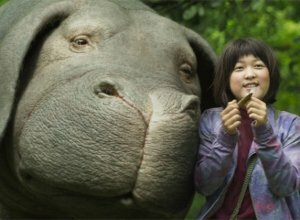 It's just a pity it wasn't released in time for Oscar consideration. 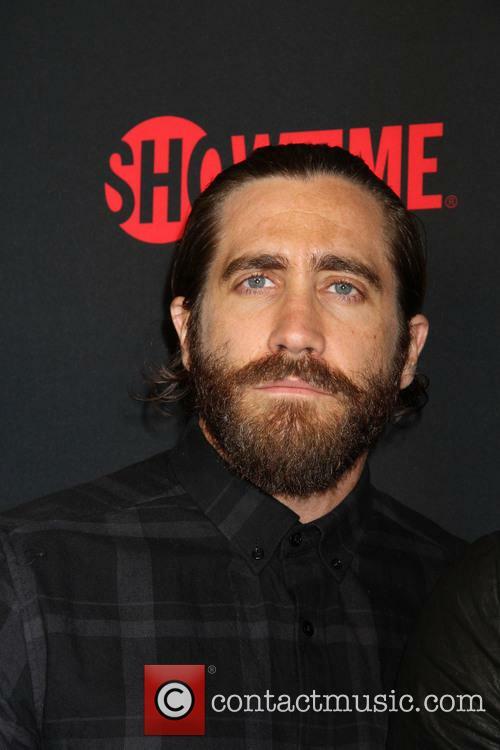 The picture stars Jake Gyllenhaal as Homer Hickman, a coal miner's son determined to break away from his assumed destiny following in his father's bleak and dangerous subterranean footsteps. 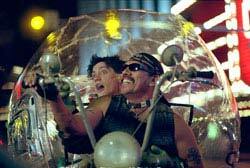 Great casting is absolutely vital to a puckishly impudent comedy like "Bubble Boy" -- the story of a happy-go-lucky, immune-deficient geek who zip-locks himself into a homemade portable orb to travel cross-country and stop the wedding of the girl he loves. Put somebody like Adam Sandler, David Spade or Seth Green in the title role, and this childlike weirdo with matted hair and a whiney voice would lose all his sweet qualities and quickly become intolerably abrasive. 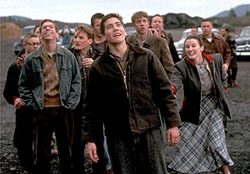 But Jake Gyllenhaal, who made such a lasting impression as future NASA scientist Homer Hickman in the little-seen coming of age picture "October Sky" -- is absolutely brilliant in the role. His exaggerated wide-eyed naivete has just enough pepper to make you laugh with him, not at him. His hyperactive enthusiasm at taking his first steps into the world ("Dog poo! Aweeeesome!") is so real that you don't just laugh, you smile. He makes the character three-dimensional and 100-percent lovable, but in an ever-so-slightly ironic way that requires a ton of talent to maintain.